Last year, we had pumpkin carving. I saved some pumpkin seeds and put them into a pot. Seeds just stayed in the pot for the whole winter, and nothing happened. This spring, the seeds started to germinate, and I didn’t pay too much attention in the beginning. I saw stems and small leaves. When it gets hotter and hotter, the green leaves were turning yellow. Maybe it’s because I didn’t water enough, or maybe it’s too crowded for plants. I decided to transplant them into bigger space. 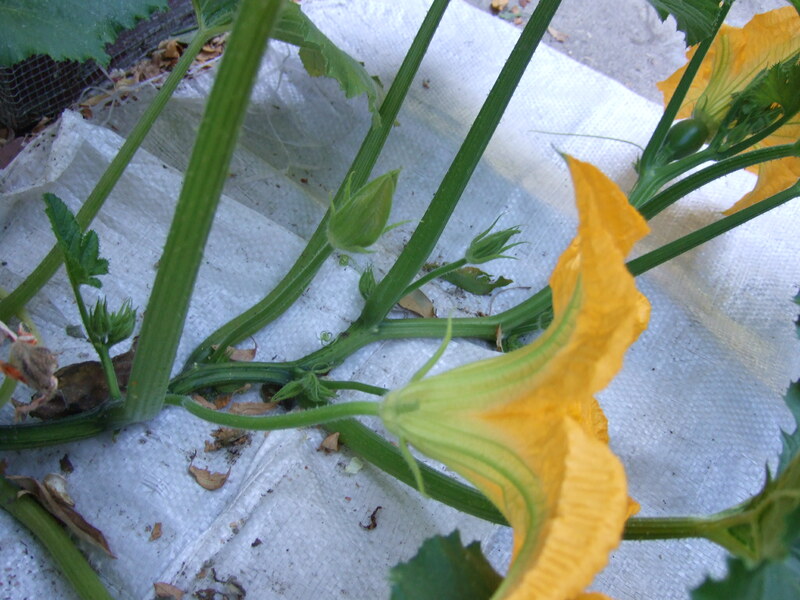 I knew pumpkin is like vine, and it can grow sporadically. I found a small space and mixed fertilizer into the soil, then transplanted unhealthy pumpkin plants into it. This time, more water was kept in the soil because I monitored it more often. About one month or two months later, some flowers start to come out. I can also see small pumpkins. 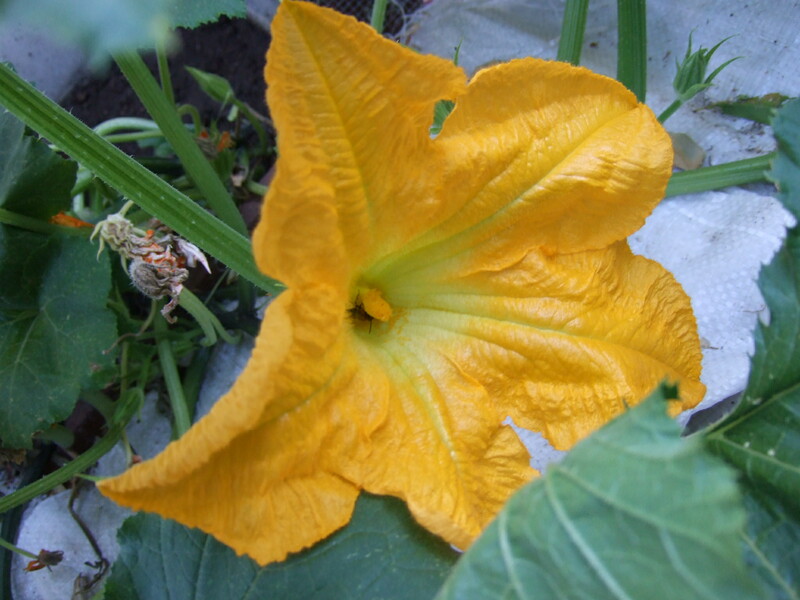 To tell the difference between female pumpkin flowers and male pumpkin flowers, please see the below pictures. 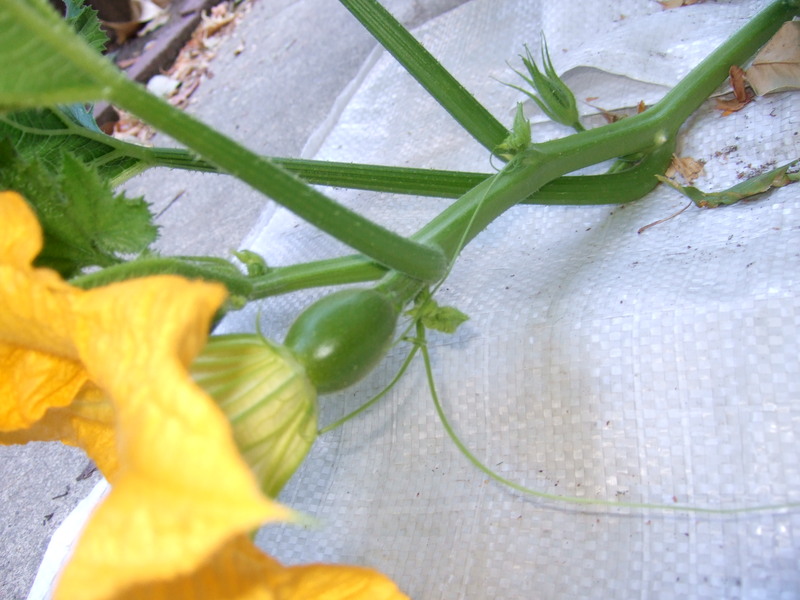 Female flower already has a tiny pumpkin below flower, and the stigma has 4 small pieces on the top. 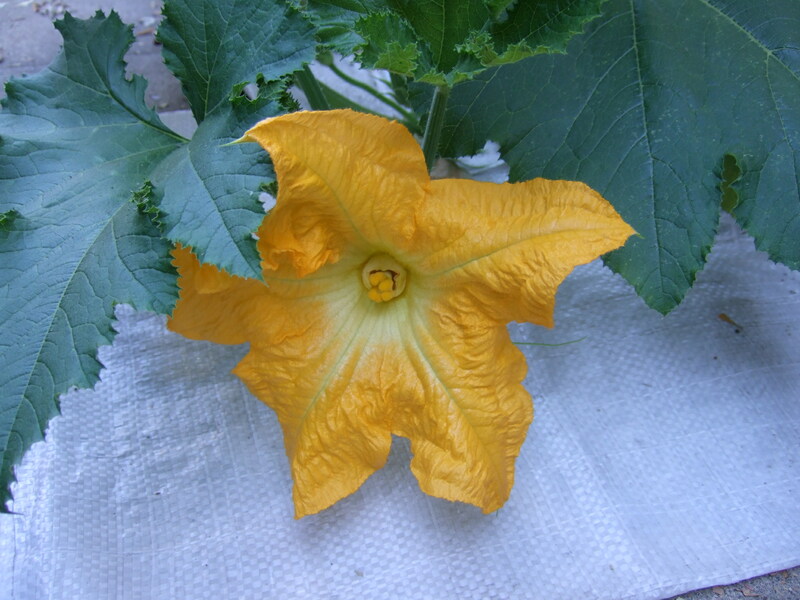 Male flower has a smaller stamen, and no tiny pumpkin below flower.